I spent a rainy few hours in the Twin Cities last week, half of which were at Nordstrom, at a Jimmy Choo shoe event complete with delightful finger foods and drinks, and the best salesperson ever. Julie Berg always finds the best shoes for me, and knows exactly what I'm looking for. She actually found these boots for me, amid the mass exodus during the Anniversary Sale. She's amazing! Thank you, Julie. 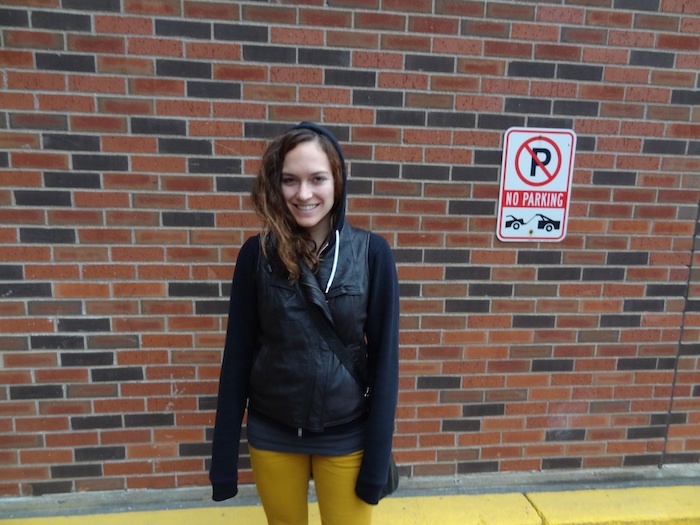 Braving the rain in an American Apparel hoodie, June leather vest (similar Topshop), Theory tee, Current/Elliott mustard denim, Sam Edelman Petty bootie, and my Balenciaga. I heard about the Jimmy Choo event at Nordstrom last week! It sounded like so much fun! 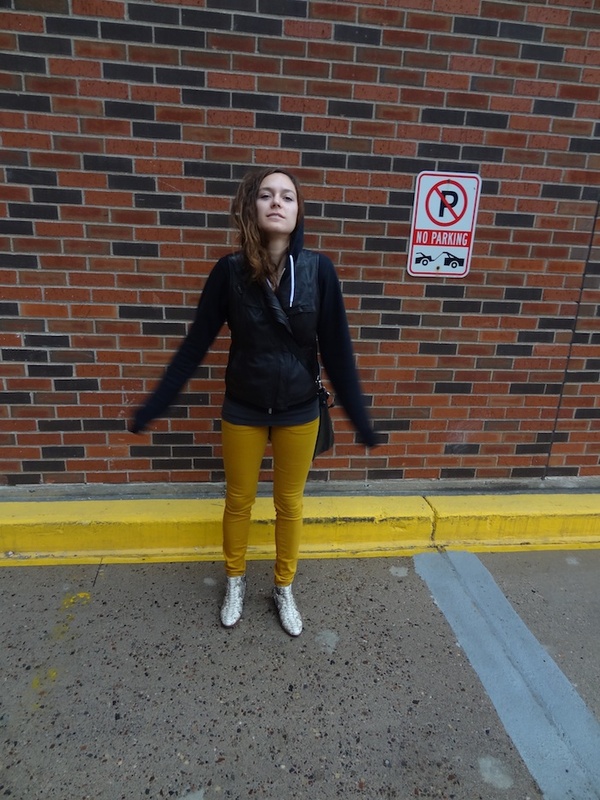 I love your booties and mustard colored pants. Hope you had a great weekend! Thank you! It was super fun, and pretty accidental that we actually made it, which was quite perfect actually :) I love Nordstrom! Hope you had a great weekend, too! i need that jacket! You look amazing as usual!! 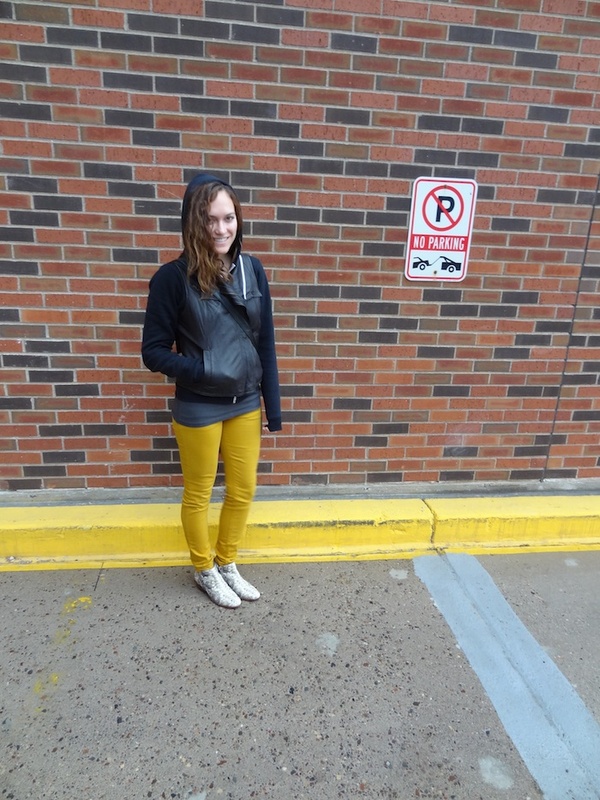 Love your mustard colored jeans! 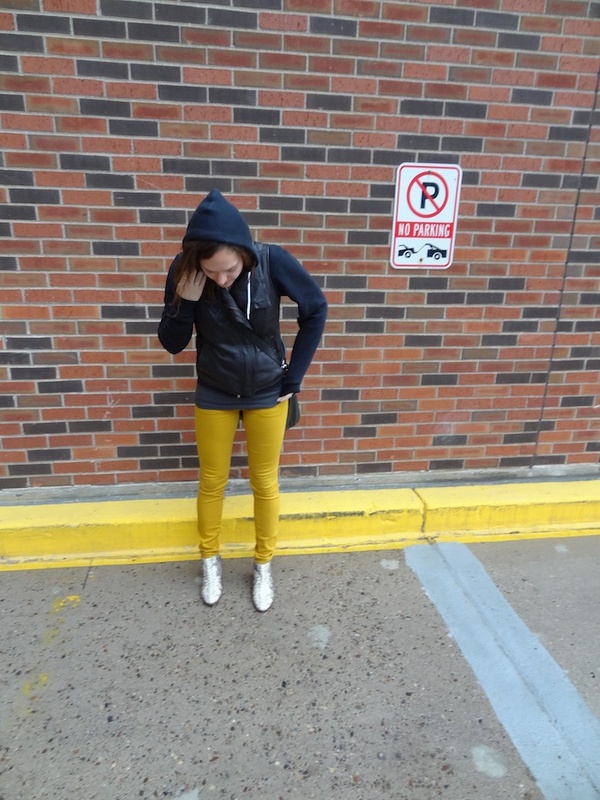 I love the yellow pant ! Great look ! Oh my gosh - I am in love with your pants! So great. Loving this get up, those pants and booties are perfection together! How great are these pants? Love the color and love the shoes? btw shall we follow each other? Thanks! I'd love to follow each other. Thank you! You're so sweet :) I'd love to follow each other! now i'm following you..if you want we can follow each other! 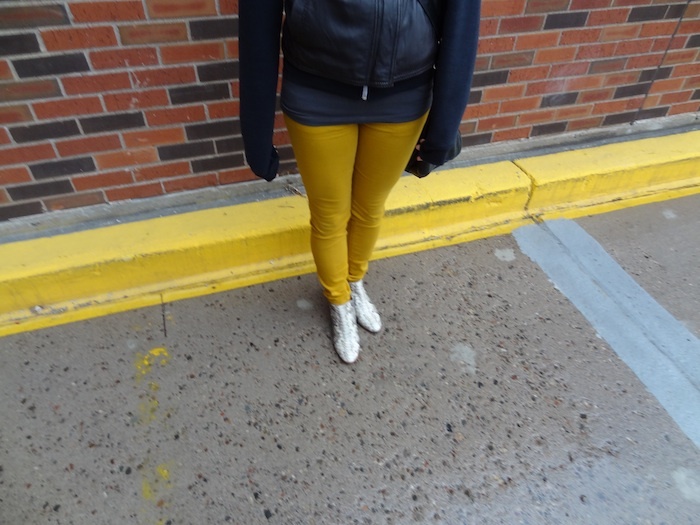 I am loving your pants and its pretty cool from a photography standpoint how those yellow lines go with them!